Over the past decade, Joseph S. Pulver, Sr. has attracted a worldwide audience for his stories, vignettes, and prose-poems—works that expand the boundaries of prose expression and evoke scintillating images of wonder, fear, terror, and heartbreak. 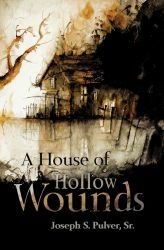 In this fourth collection of tales, following Blood Will Have Its Season (2009),SIN & ashes (2010), and Portraits of Ruin (2012), we find imaginative riffs on Edgar Allan Poe, Robert W. Chambers, H. P. Lovecraft, and others—but more than that, we find the evocative melding of horror and plangency that makes Pulver the most distinctive voice in modern weird fiction. wind. ardent. circular, back on itself as if in dismay.